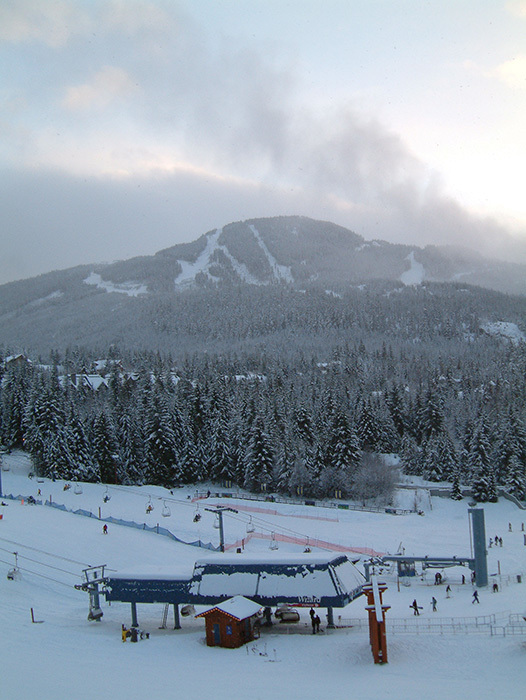 As the first snowflakes dust the mountains in Whistler, I am reminded that ski season is coming. Horray! 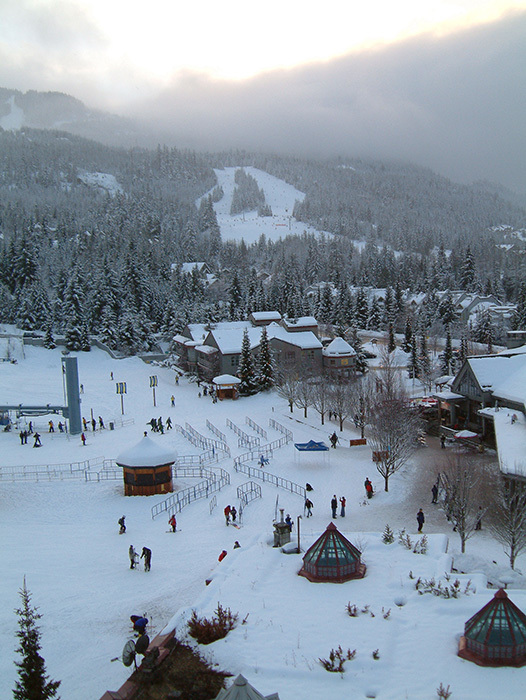 Ahh Whistler… It’s a bum bustling, horribly long flight for us Europeans but the immense Whistler Blackcomb mountain range, attractive village, awsome skiing and buzzing atmosphere means that both you and the kids will love it. In fact, tag on an extra flight to Hawaii (usually only afew hundred pounds extra) and you have yourself the perfect sun and ski two centre holiday. The skiing area is massive. The two huge peaks virtually guarantee snow throughout the season, both offer long and varied runs from the top to bottom of both of the slopes. 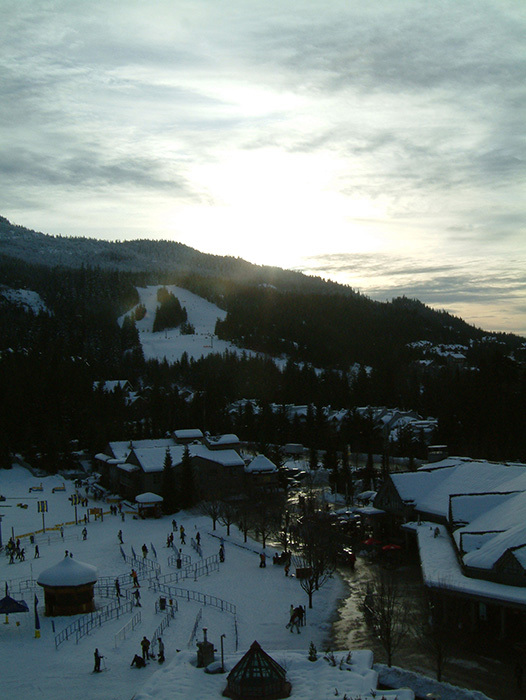 Although both can become heavily congested at the midway point, especially at the exit of the largest Blackcomb Terrain Park where my husband suffered a collision that left him with a broken wrist – consequentially I can highly praise the Whistler village medical centre! If you enjoy a gentle traverse, down a mellow deserted mountain, this is not the Ski destination for you. But if you’re looking for an extreme adventure and like your ski runs on the looooooong thigh busting side, Whistler won’t disappoint. Whistler attracts the young crowd that you’d expect at a extreme sports mecca. Most flock to the main Blackcomb Terrain Park, (Whistler Mountain also has a smaller park), located about half way down Blackcomb. It is huge and full of scary and innovative ways to kill yourself. The locals rule, some of the talent on display is straight out of the X-Games. 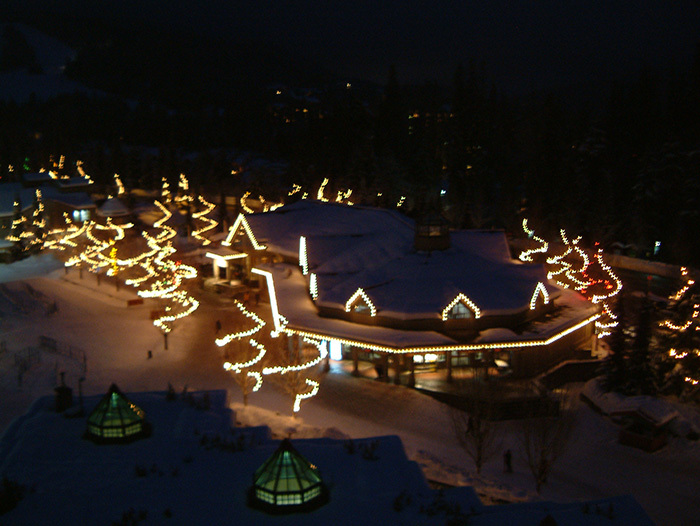 Beyond skiing, my favourite moments in Whistler are spent walking through the lively village in the evening. Adorned with fairy lights and surrounded by pines, you can wander along the frosty streets, in and out of the grungy ski shops with their blaring heavy rock music, grab a steaming coffee in Starbucks via a quick browse in Guess and tromp back over the rushing glacial streams and through the pine forest for a well deserved fireside drink at the Four Seasons bar. There are a number of large chain five star options including the Four Seasons, the Fairmont, the Nita Lake Ski Lodge, the Westin Resort and Spa and the Hilton Whistler Resort and Spa. 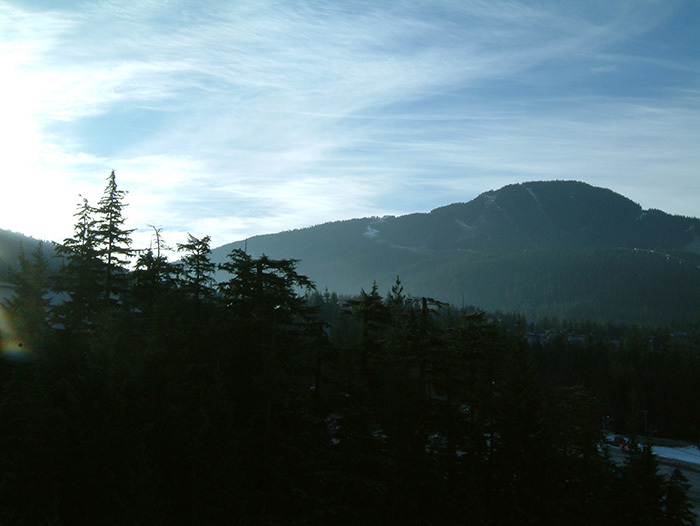 Each have their merits, the Four Seasons and Fairmont sit at the base of Blackcomb, the Westin and Hilton at the base of Whistler and the Nita Lake lodge on a beautiful lake outside the main village. Whistler has a very special place in my families heart. It is so far from my home, the air is so crisp and clean, the stars are so bright at night, there is something very magical about this Canadian village. I will return time after time, just before Christmas, when the decorations and Christmasy feel blow its european competitors out of the water. 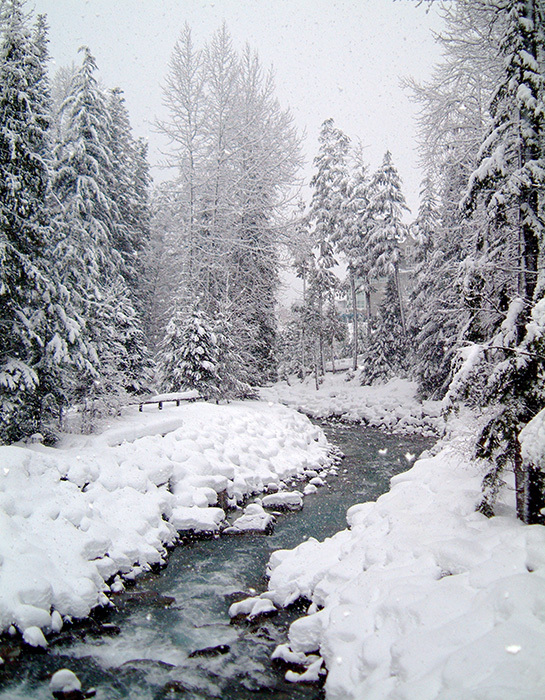 Whisk me to Whistler and I may never come home!